Located just 7km outside of Pula, Is Morus Relais offers a haven of relaxation and tranquillity for all its guests. 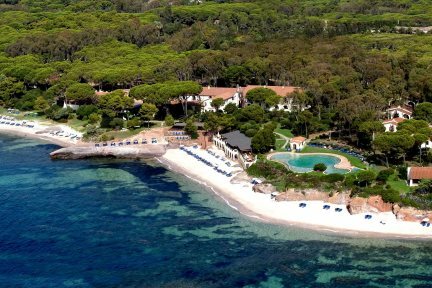 With well-manicured, extensive grounds leading down to a small sandy beach, visitors will be spoilt for choice as to where to sit back and soak up the warm Mediterranean sunshine. The guestrooms at Is Morus Relais come in a variety of shapes of sizes, some located in the main hotel building, and some hidden amongst the trees and plants within the grounds. Park Side, Sea Side and Prestige rooms can be found within the hotel, all of which have balconies, are spacious, and use neutral tones to create an open and airy ambience. We recommend that guests upgrade to Sea Side rooms as the views are stunning. Whether you prefer a relaxing or more energetic holiday, the facilities at Is Morus Relais won’t disappoint. There’s a good-sized swimming pool with sea views, tennis courts, gym and bicycles for hire, or you can spend some time rejuvenating in the hotel’s hammam, Jacuzzi or sauna. Plus, after a hard day chilling by the pool or playing some leisurely tennis, the Hotel offers some wonderful bars and restaurants, including La Terrazza, which boasts beautiful and romantic vistas of the ocean. What’s more, with Pula just 7km away, guests are within easy reach of further authentic restaurants and a long sandy beach, plus the majestic Sulcis mountain range, where you can explore until your heart’s content. You’ve also got the archaeological site of Nora just 10km away, plus for any avid birdwatchers, there’s some superb wildlife along this area of coastline in the form of flamingos, heron, waders and seabirds. Swimming pool, La Veranda and La Terrazza restaurants, bar, parking, Wi-Fi. Payable locally: Tennis court, bicycles, fitness room, sauna, hamman and Jacuzzi. En-suite bathroom with bathtub or shower, satellite television, telephone, minibar, hairdryer, safe, air-conditioning, terrace or balcony. Interconnecting rooms are available. Park Side Rooms are equipped with one double bed or two single beds, a shower or a bath and a balcony on request overlooking the park. Interconnecting rooms are available on request as well as an extra bed or a cot. Sea Side Rooms are equipped with a double bed or two single beds, a shower and a balcony overlooking the seaside. Interconnecting rooms are available. Family Triple Rooms are spacious rooms with a double bed, a third bed and a view on the park side. 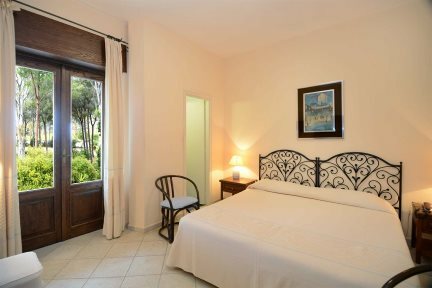 Deluxe Sea Side Rooms are equipped with one double bed or two single beds, a shower, a bath and a balcony overlooking the seaside. Interconnecting rooms are available as well as an extra bed or a cot. 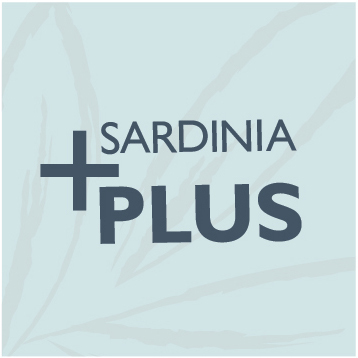 Prestige Superior Sea Views are elegant rooms furnished in typical Sardinian style and located on the 1st floor. Equipped with a double bed or two single beds, a bath or shower with Jacuzzi. Balcony is available on request. 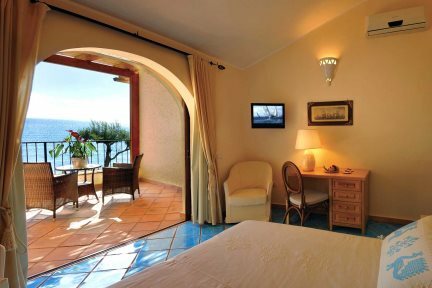 Junior Suite Sea Views are spacious rooms located on the 1st floor and equipped with one double bed or two single beds, a shower or a bath and a balcony overlooking the sea. A third bed or a baby cot is available. 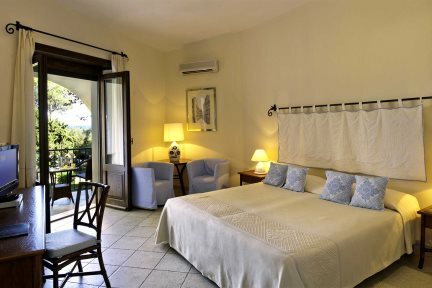 Prestige Sea View Rooms are elegant rooms furnished in typical Sardinian style and located on the 1st floor. 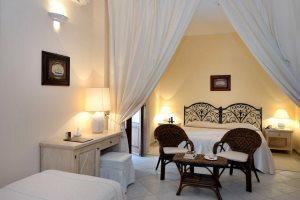 They are equipped with a double bed or two single beds, a bath or a shower with Jacuzzi and a balcony overlooking the sea. The Ice cream parlour in Pula is definitely worth a visit with home made ice creams and a variety of fresh fruit flavours.